Spoken worldwide, French remains important and influential in the 21st century; more so, French and Francophone culture. As a French and Francophone studies major, you will sharpen your linguistic skills, gain cultural competency, and be ready to pursue exciting opportunities around the globe. While exploring the literature, film, and history of multiple French-speaking societies, you will be challenged by our expert faculty to interrogate language, identity, social status, geography, and power; in addition, you will develop vital skills in textual analysis and socio-cultural criticism. These skills will prepare you for rewarding careers in fields like education, health care, hospitality, and the arts. Why Study French and Francophone Studies at Clark? Explore Rennes, Grenoble, or Dijon, France, or Dakar, Senegal, for an unforgettable semester (or more) through our immersive study abroad requirement. Apply to teach English at the University of Versailles, France, for one year after graduation. Engage with our teaching assistants from France during discussion sessions and social events, and gain individual help with writing assignments at our on-campus French Writing Center. 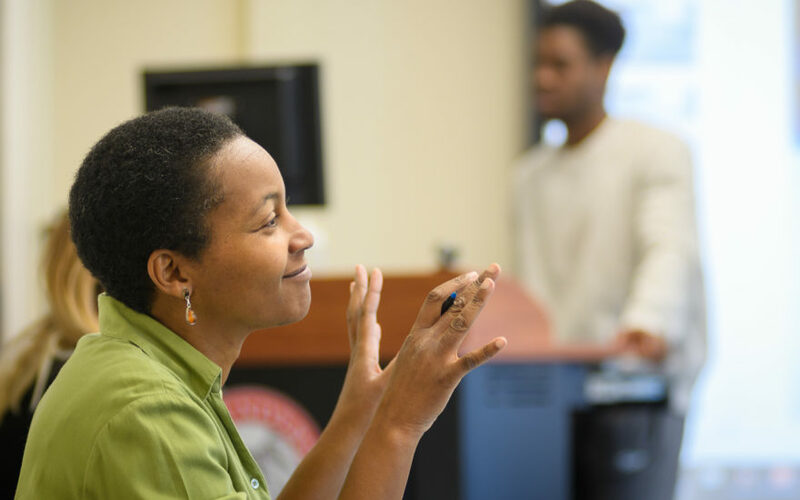 Conduct research using French-language sources and data with faculty through the departments of language, literature, and culture, psychology, or international development, community, and environment. 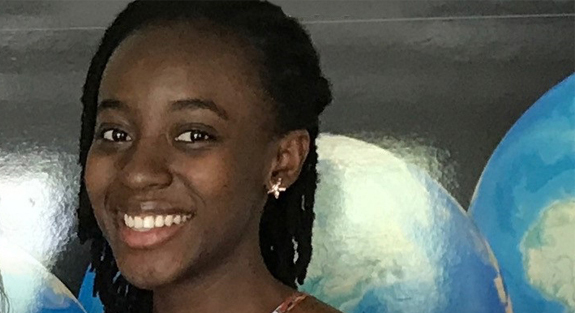 French and Francophone studies major Dexel Sagoe-Moses described her time studying abroad in Rennes, France as one of her best experiences, because she was able to immerse herself fully in the culture she’d been studying for so long. On returning to Clark, she was surprised to discover that one of her favorite parts of French classes was making presentations — in French! It was like a dream come true, living in France and gradually speaking French like a local. I felt like I had accomplished something; I realized that I’d made so much progress, and I was proud of myself. As a French and Francophone studies major, you’ll focus on building the core skills of linguistic and cultural competencies. Eleven courses are required to complete the major, including one course in literary analysis, one course in culture criticism, an advanced topics/capstone seminar, and two courses in a Clark-approved study abroad program. Also required is The National Imagination, which explores and critiques how national languages have been used to build and promote cultural continuity and identity through texts, films, and documentaries. After you declare a French and Francophone studies major, an adviser will work with you to discuss and approve related courses, as well as to help you identify areas of interest that may lead to an honors project. In the fall of your senior year, a capstone course will bring together all you’ve learned. Our teaching assistants from France staff the French Writing Center and can provide you with one-on-one guidance on assignments. At Clark, your education extends beyond the classroom. LEEP Center advisers can help you choose from a range of opportunities that complement your coursework and let you put your French and Francophone studies knowledge into practice. The French and Francophone studies major is designed to help you learn outside the classroom. Many students take advantage of internship opportunities during the academic year or over the summer to connect what they’re learning with their professional development. At least two courses, taken as part of a Clark-approved study abroad experience in a French-speaking country, are required. Clark is committed to action-based learning, which means as an undergraduate you can join faculty and graduate students in their research and creative work. Alliance Française (French library and cultural center), Boston, Mass. Examine the gendered representation of adolescence as portrayed in French literature and film, and the different ways these two genres create a cultural understanding of the changing place of youth in society. Explore literature about Haiti, Guadeloupe, Martinique, and French Guyana for insight into the rich histories and cultures of those Caribbean islands that are a mixture of French and African heritage. See what it’s like to be a professional translator! Explore the theory, techniques, and dilemmas of translating a variety of texts — from advertising and journalism to theatre and fiction — from French into English. Hone your French while you explore the multiple manifestations and transformation of French popular culture from the 1940s to today, as disseminated in film, magazines, cartoons, bande dessinée, and music.